During our October challenges, David chose to send Joanna on a holiday to England. This was a great opportunity to visit family and friends, including my closest home-schooling friend from Malawi who recently relocated. My mum met me there and we visited her childhood homes and schools, something I had never done before. On my return I jumped right back into base life, including our monthly group for children with cerebral palsy, children playing on our back porch every day, regular swimming dates with different groups of kids, meetings with house parents, meetings with management, meetings with staff; lots of meetings. As we were both part way through our Arrow Leadership Training, we were also fitting in readings and assignments between meetings with our Leadership Partners and our Arrow Small Groups. The teaching that we received was immediately applicable, which made motivation a lot easier. 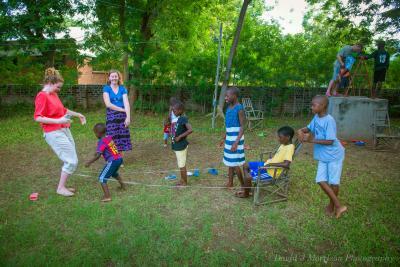 We particularly enjoyed teaching on team building and coaching, both skills that are needed here in Malawi. In early December we celebrated the wedding of Isaac Makwalo, son of our Director of Ministries and Operations, Timothy Makwalo and his wife Sarah. It was wonderful to see Isaac’s workmates from the data entry business getting involved. Daniel and Kalina arrived Dec.22nd and were immediately thrown into Christmas preparations. We hosted a staff Christmas Party on Dec.24th in our garden, complete with a coffee bar. 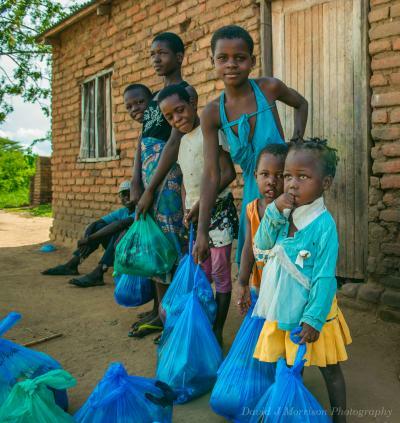 More than 300 gifts were distributed to Children of Hope living in the communities around us. Christmas morning saw our Iris family of 100+ gathered in our garden to give and receive gifts. Early on Dec.26th we four Morrisons departed for South Africa and the wedding we had all been waiting for. Patrick and Suzaan were married at a beautiful location in Harrismith, South Africa. It was a very joyful time with family and friends, new and old. The only sad part was saying goodbye so quickly. 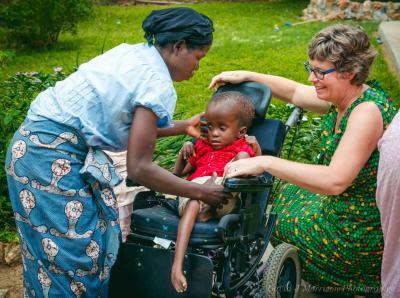 We returned to Malawi Jan.1 together with Daniel and Kalina and a friend. They had the opportunity to visit friends and get involved once again with our CP group, kids’ club at our house, dance practice, choir practice, and the usual visiting. We got the Secondary kids off to school, and the base began to quiet down for the new year. Daniel and Kalina headed home shortly after, and David and I settled into last minute preparations for our last Arrow training session. It is a testament to our growth that our base runs efficiently in our absence. We have a great office team, and leaders who are well able to take the reigns, with minimal input via email. Our trip to North America included a week in Atlanta for Arrow, a week in Canada (which included a Canadian reception for the happy newlywed couple, and then a week of holidays. While we were away, we began to get reports of flooding in Malawi. With only a short detour, the flood waters had subsided sufficiently for us to get home days before Cyclone Idai made landfall. 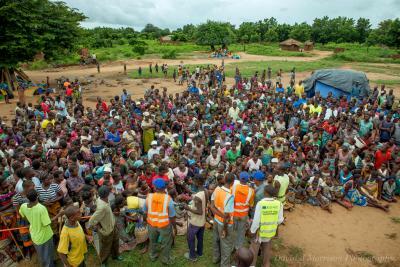 While Mozambique took the biggest hit, we had unstable weather for some days and many people were displaced by heavy rain. 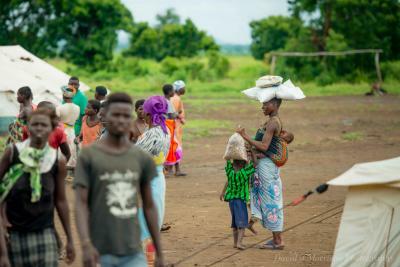 We have been involved in delivering supplies, and we continue to assess where the biggest needs are. Certainly, many homes and fields have been destroyed, and there is much rebuilding to do.